Four years of negotiations appeared to have culminated on August 24 with the announcement of the peace deal. At a public ceremony in Cuba, Humberto de la Calle, head of the Colombian delegation, and Ivan Marquez, chief FARC negotiator, signed the historic agreement. 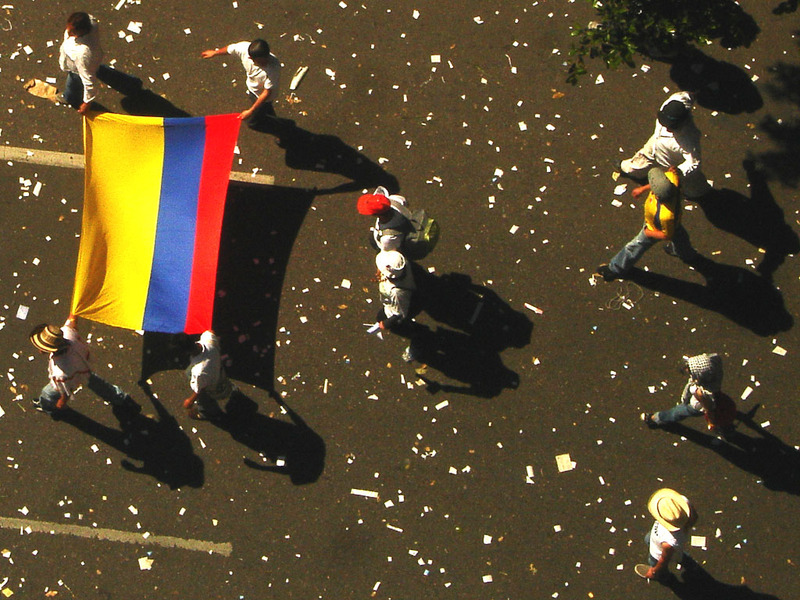 On September 26, the accord was once again signed, this time in Cartagena by President Juan Manuel Santos and FARC commander Timochenko as crowds looked onward and the streets of Colombia broke into celebrations. Throughout the entire process both President Santos and ex-president Uribe led fierce campaigns for and against the agreement respectively. Santos begged Colombians to be rational and see the bigger picture, whereas Uribe, playing to the hearts of the people, urged voters to not simply forgive and forget. Opinion polls taken during the weeks building up to the referendum continuously predicted a “yes” landslide, with a comfortable 66% called just before the election. [iii] President Santos, who has staked his political career on this peace process, believed that his campaign would soon claim victory and peace could finally fall over Colombia. But the peace agreement wasn’t just a vote to stop or continue a war. It was a plea to a country to forgive. However, when a war has run as long as Colombia’s has, it is hard to find a single person that hasn’t felt the pain of it. Uribe’s campaign presented the decision as one between forgiveness and amnesty, or revenge and justice. Jose Manuel Garcia, a priest in San Vicente del Caguan, explained before the referendum that “some people want justice [and that] not everybody was capable of forgiveness.” [vii] Uribe’s own father was killed by the FARC; how can you ask a people that have suffered so much for so long to simply turn around and forgive? Under the agreement, FARC members who laid down their arms and came forward would be granted immunity. Furthermore, the FARC was guaranteed 23 seats in the national legislature. These conditions, it seems, were too much for the people of Columbia who have lost so many loved ones to agree too. It is not that “no” voters are against peace, on the contrary, they want the violence to end more than anyone. They simply feel as if complete impunity is too high of a price to pay. The heart can be a very difficult thing for the mind to overrule. President Santos continuously stated throughout his campaign that there was no contingency plan if the agreement failed to be ratified by voters. Which begs the question: what happens now? Will Colombia return to war with the leftist rebel group or be able to renegotiate a new accord? The agreement would have permitted around 7,000 rebel fighters to disarm and reintegrate into society. However, without the amnesty guaranteed to them by the accord, it is very unlikely that many FARC guerillas will step forward. The two sides must now return to the drawing board to resume the peace process again. However, with both the government and FARC stating that this agreement was the best they could do, redesigning a new agreement is easier said than done. Whilst Santos has accepted that his people have voted ‘no,’ he has assured that both himself and FARC leaders will continue the ceasefire. [viii] Additionally, FARC leader, Rodrigo Londono, has reiterated the group’s call for peace regardless of the result of the referendum[ix]. 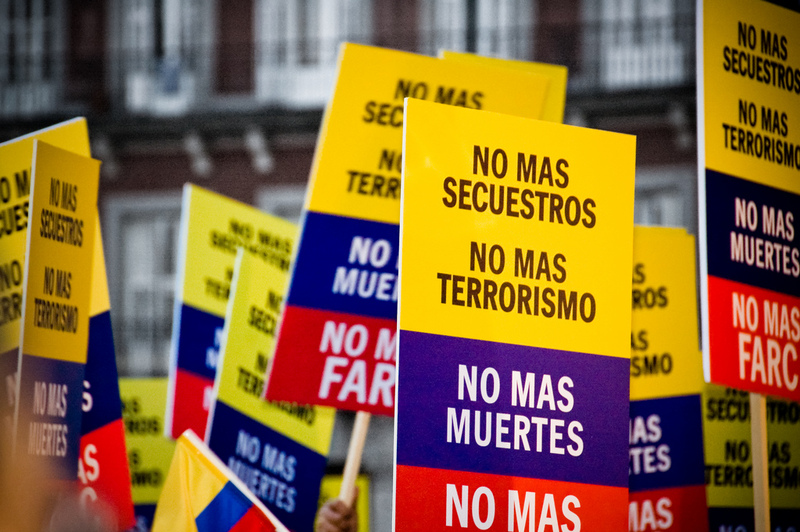 It is not that Colombians do not want peace, but rather that they do not want it at the cost of justice. President Santos must now meet with his government to decide on how best to move forward. It is up to Colombia as a whole to stand together and continue working towards peace. Every Colombian from every side must once again negotiate for an end to a conflict that has cost so many so much. The coming days will be most crucial in sustaining the fragile ceasefire and the world will once again watch and wait. Featured image: No + FARC. Taken from Flickr.